When someone designs an object destined to be a family heirloom, you know it's going to be special. This kind of longevity design is rather rare in these days of trend-based consumption, but there's so much to find if we just take the time to look. An industrial designer by trade, Brisbane-based Natalie Lane is one such creative with a mission to handcraft unique items that will grace the walls of family homes for generations to come. Natalie launched Corner Block Studio just one year ago, and it's clear a lot of thought and care pours into her designs, being sustainable in many more ways than one. 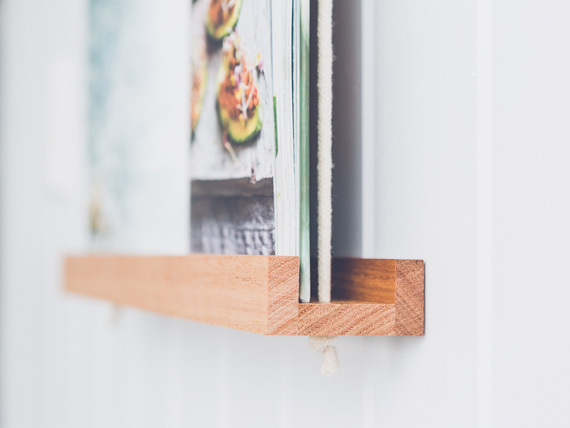 Corner Block Studio frames made from reclaimed hardwood. 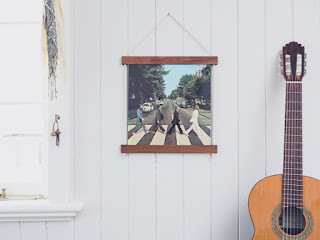 Not only does Natalie use re-purposed hardwood for her hanging frames (think salvage yards and curb-side collections) but the designs themselves are versatile, with classic style and craftsmanship that I'm sure will stand the test of time. “I had been travelling for a few months in India, and when I came home I had a whole lot of photos that I printed and put in a photo album," Natalie says of the spark for her idea. "I noticed a few years later I had barely even looked at it, it just sat on the bookshelf. I couldn’t pick just one or two photos to blow up and frame - each time I went to do it I chose a different one. "I thought, 'I wish I could just put the book on the wall and be able to change the page whenever I want.'" And so Natalie designed her first adjustable hanging frame. “Typical to industrial design, it began as a problem that you have to solve," she says. 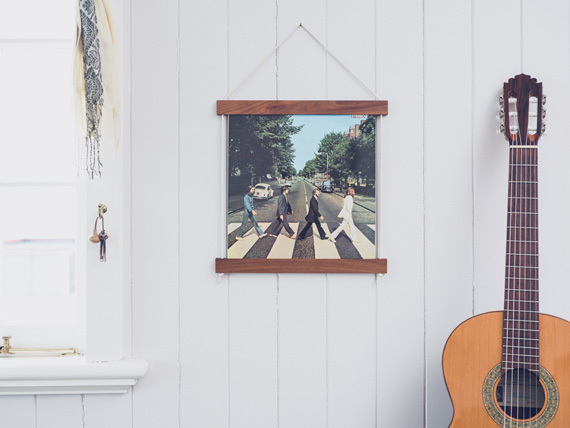 “The frame itself is classic and the book, or record, or art takes the focus. “I hope that it can display any book in your bookshelf and you can change it up. That’s also about having a product that can last a long time in a person’s life in their home. “When your tastes change you can just change the content, so it stays relevant to your life and it can evolve with you." To me, that's what sustainable design is all about - not only thought in how the product is produced, but how it will age and where it will end up. That's one of the main reasons Natalie was drawn to working with wood. “It’s a natural material and while I hope that my product will become heirlooms and last a long time, possibly through generations, I still think about it not becoming hazardous or negative if it ever had to return to the land," Natalie says. “I think wood is beautiful and full of character all by itself, without you even doing anything. Natalie has just secured her first stockist, The MITT Mrkt in Sydney. You can meet Natalie and her designs at the Melbourne Finders Keepers markets in October.